Our weekly news hit is back and should remain so, in hindsight launching it right before I decided to take some extended time off might not have been the most logical move, but hey! Gamescom happened and so did mainstream journalism… oh boy! Your friends and mine at Activision Blizzard announced some hot financials earlier this week, concerning their first quarter of the financial year. Destiny has over 20 million accounts, with 2 billion hours played total. Naturally they did not disclose how many of those accounts are only registered through the demo, available on Xbox Live and PSN. Diablo III is at 30 million copies sold and Hearthstone, Heroes of the Storm, and Destiny combined have 70 million registered players, a weird statistic to trot out I know. In far more dire news World of Warcraft subscriptions slip lower still, from 7.1 million to 5.6 million, though it remains the largest subscription-based game in town. It comes as little surprise then that Blizzard have another World of Warcraft expansion primed and in the hopper, given the very tangible effect they have on the player base. The expansion pack Legion aims to wow players – I couldn’t resist – with a new class; the Demon Hunter, for the Night Elves and Blood Elves. The level cap will be raised to 110, there’ll be new raids, dungeons, ‘class order halls’, a new continent, an honour system, weapon artefacts, and probably lots more. Roll for the trailer below! Staying on the MMO train for another stop, Star Wars: The Old Republic had a showing at Gamescom, with Bioware veteran James Ohlen taking to the stage. No new information was shared, but they did show a gameplay trailer, below, which highlights a wealth of bespoke animations across a range of different cutscenes. Assuming it is just a taste of what’s to come, rather than being all of the best scenes, Knights of the Fallen Empire could be quite something. Need For Speed also made an appearance at the EA Gamescom press conference, though with far more live action than gameplay, or rather live action that is gameplay. Need For Speed uses live action cutscenes featuring ‘real world automotive icons’, such as Ken Block and Morohoshi-san, but what’s really special here is that these cutscenes will boast real time rendering. Meaning loosely, your customised ride will star in the live action too. Here’s the trailer. Mad Max, being an open world game in the wake of Ubisoft’s war crimes, naturally features strongholds; garrisons filled with enemies ripe for the slaughter. Its open world fodder, sure, but it gets far more enticing when you remember it’s a Mad Max game… The latest trailer shows some of the wasteland’s personalities; Gutgash, Deep Friah, and Pink Eye. Oh and the main antagonist is called Scabrous Scrotus. Enjoy! Despite not actually starring in the EA Gamescom press conference, Dragon Age: Inquisition, the game we named Game of the Year for 2014, is getting another serious piece of downloadable content real soon. The Descent sees the Inquisition delving into the Darkspawn-teaming Deep Roads to you know, kill Darkspawn. The Descent is accessible to players as soon as they reach Skyhold, scaling to their character's level. It will release August 11th on the PS4, Xbox One, and PC for $14.99. Oddly, The Descent was largely developed by Bioware Austin the team behind Star Wars: The Old Republic and the cancelled Shadow Realms, Mike Laidlaw (Creative Director) revealed on Twitter. Koei Tecmo, the publisher best known for their many Warriors franchises, announced using an excruciating teaser trailer, that they are continuing to create hack n’ slash spin-offs for all franchises. Kind of. Next up is Attack on Titan, while they said nothing at all about the product, not even a name, Koei announced it is scheduled to hit the West in 2016 and that it is being developed by Omega Force. Koei do in fact publish more than just Warriors games; I for one would love an Attack on Titan strategy game, where you would have to organise humanity’s defences. But don’t hold your breath on that. My money’s is on a Monster Hunter-style title from the team that worked on Toukiden, I would be a-okay with that too. In less shocking trailer news, Dice revealed the Fighter Squadron game mode for Star Wars: Battlefront. The decidedly in-atmosphere – for now at least – mode, sees twenty players and twenty AI bots square off in a chaotic dogfight. It isn’t straight deathmatch rules either, in the scenario shown in the trailer below the Rebels (utter scum) are attempting to intercept an Imperial shuttle in the sky’s above Sullust. Elite: Dangerous a.k.a the ‘sickest flight sim’ (Shimmin, 2015) is getting a new and full priced expansion this holiday. Horizons will cost £39.99, with a limited time £10 discount for current Elite: Dangerous players. It will introduce planetary landings, complete with scan-able mineral deposits! Check out more details on the Horizon storepage, if you’re so inclined. The world simply can’t have enough space games, of the simulation and strategy variety in particular, that’s not an opinion, its fact. And Paradox agrees; their internal studio responsible for the Steam heavies; Crusader Kings II and Europa Universalis IV announced a new title, Stellaris. While I’m convinced at least three pixal-art roguelikes must already exist with that exact name, Paradox doesn’t seem to mind. Below you’ll find their announcement trailer that confirms what we’ve all known for years; aliens built the pyramids. Their site sheds more light on what to expect from the game. 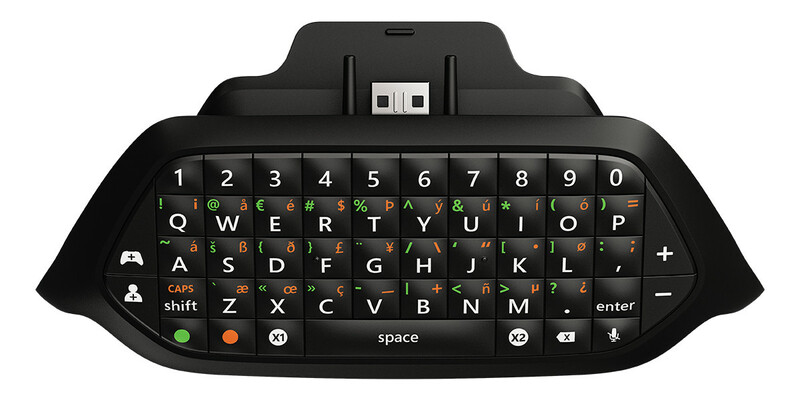 During their Gamescom press conference, Microsoft showed the world their latest must-have seasonal accessory; the Chatpad for Xbox One and Windows 10. I’ll be honest, I consider this to be a plastic fungus, further bloating an already bulbous and heavy controller. But it does offer two programmable buttons, so you can finally take screenshots like a human being! According to the Microsoft Store, it’s coming out November 3rd, but the programmable buttons will only work on the Xbox One, with ‘expected availability mid-2016’. It sounds like they are patching in the programmable functionality next year. What? In far more exciting Xbox One news, Creative Assembly, developers of Alien: Isolation (2014), oh and all of the Total War strategy games, is making Halo Wars 2. It is set to launch in Fall 2016 on the Xbox One and Windows 10, continuing the ‘legendary Halo tale’, of the Spirit of Fire presumably, from the original Halo Wars. Halo Wars was a real-time strategy game released on the Xbox 360 in 2009, it was received with mixed success, leading to the developer Ensemble Studios being glassed soon after release. The trailer reveals pretty much nothing about the game itself, but give our podcast a listen to find out why I’m a little hesitant about Creative Assembly taking the reins on this one. … I must be out of this world then. 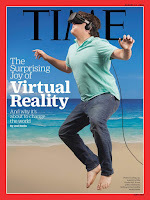 From mocking amusement to downright rage it’s hard to feel nothing when you look at the August 17th cover of Time magazine, featuring Oculus’ Palmer Luckey, seen below. Here’s the story's preview text, reading the rest requires subscribing and that’s more money than I will ever give Time. And on that glorious note, we conclude our weekly news feature. 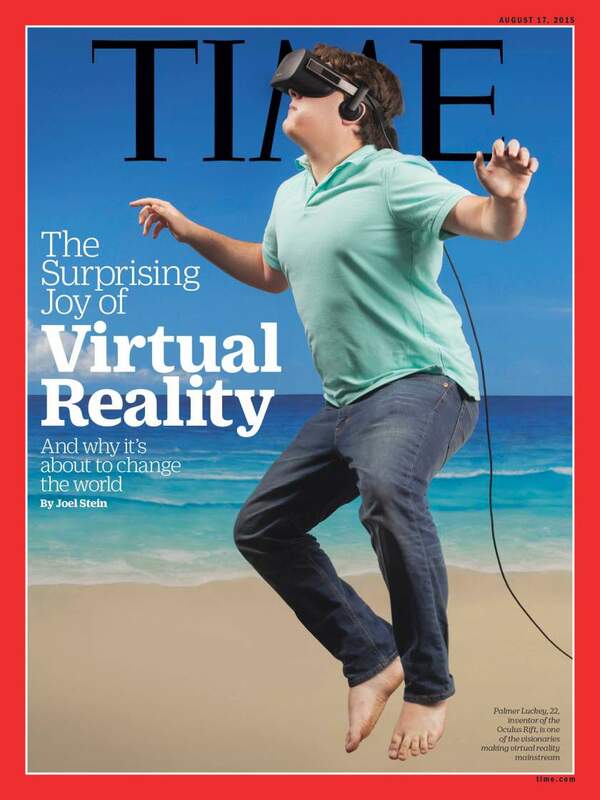 Are you experiencing deep-seated rage at that Time cover, or are you just enjoying the hilarious edits? How do you feel about This Week In Videogames, think it should branch out some, cover other areas? Let us know, in the comments below!